Beautiful 3 Bed with 2.5 Baths Townhouse in sought after gated community of Hampton Isles. 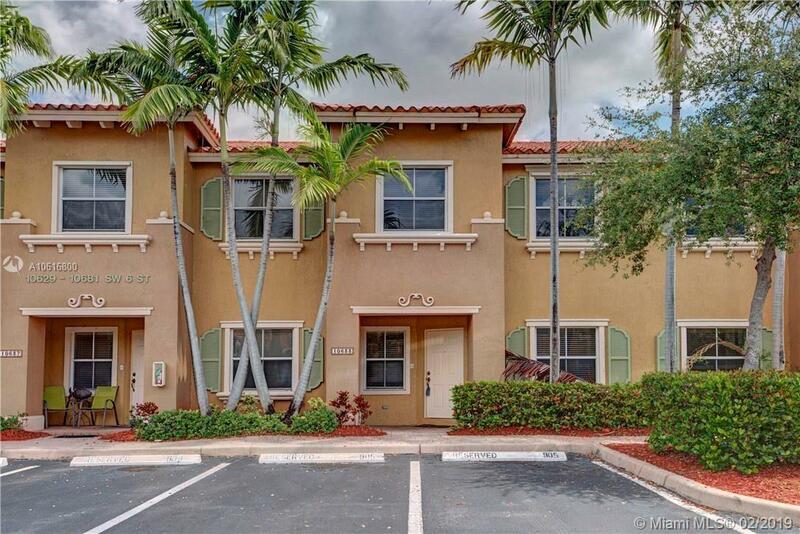 This spacious and bright lakefront town home features an ideal layout with an expansive living and dining room plus separate family room, nestled around a beautifully appointed kitchen with coffered ceilings. Tiled on the first floor and upgraded carpet and wood on the second floor. Laundry Room with full-sized Washer/Dryer on the second floor offers convenience and functionality. Ideally located in a great school district and close to shops, dining, entertainment and all major highways, this is one you don't want to miss! Directions: Take Pines Blvd To S. Hiatus Rd And Go South To Washington St. Make A Left On Washington (East) To Hampton Isles Entrance On The Left.